Last Friday on my way to the annual banquet of the Society of American Period Furniture Makers at Colonial Williamsburg I took the opportunity of my foray into “civilization” (or is it “out of civilization?”) to make a number of stops purchasing materials and supplies for ongoing and upcoming projects. Perhaps the most important of these stops was at Virginia Frame and Builders Supply in Fishersville, just a hundred yards or so from I-64. 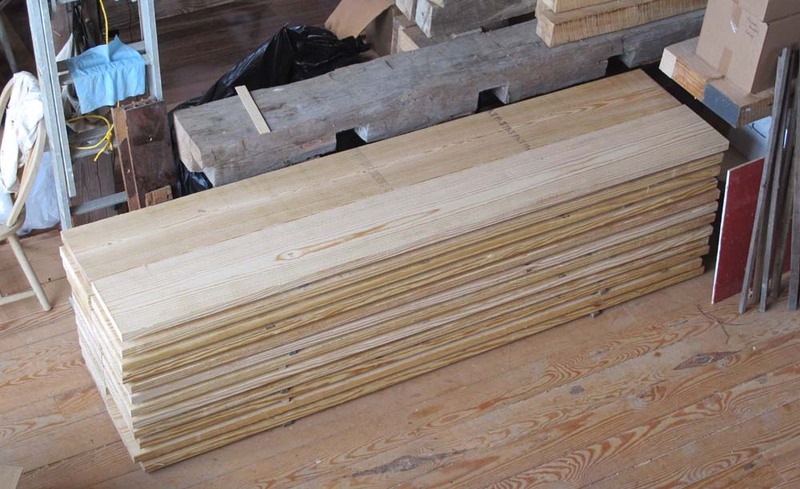 Virginia Frame is renowned for having large, long, and lovely lumber in stock. 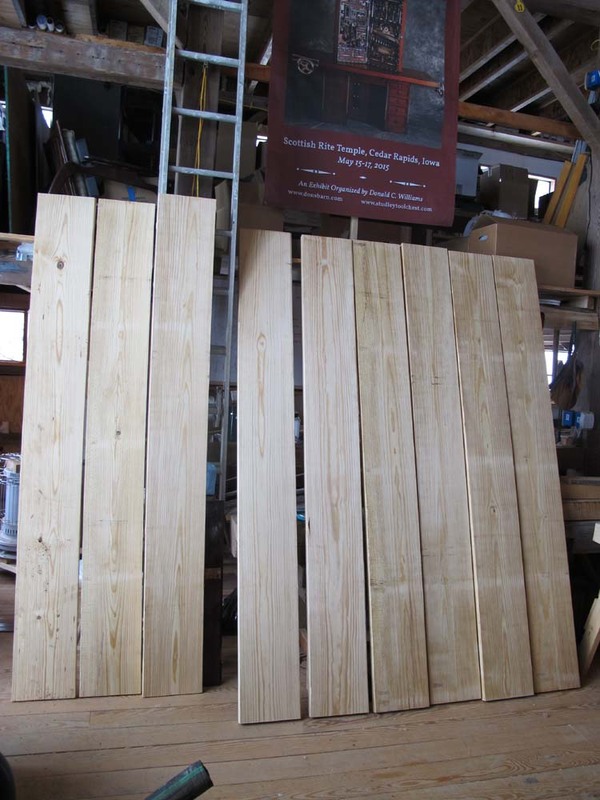 I bought some 24-foot long southern yellow pine 2x12s, mostly clear and some even select. Since my pickup has a 6-foot bed, the folks at Virginia Frame cut the 24-footers into 8-foot sections and we stacked and strapped them into the bed for the long ride to Williamsburg then back to the mountains. This September I will be hosting ten members of the on-line forum Professional Refinishers Group, a treasured mostly-virtual community to which I have belonged for many years, for a week of workbench building. The lumber from Virginia Frame will serve as the raw stock from which I will make a Roubo prototype and a Nicholson prototype, to work out all the bugs in the fabrication process. Once I do I will order the same lumber as necessary for all the workbenches being built in September. There was rain on my trip, so when I got back Saturday afternoon I spread out the boards to let them dry, then yesterday morning I stacked them to allow them to sit properly before I build the benches in February and March. 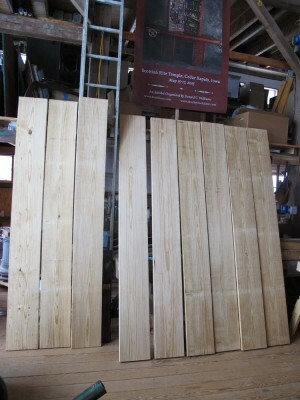 I love working with southern yellow pine, and these boards are magnificent. But first I have to make a replica of the Henry O. Studley workbench top for the upcoming exhibit.